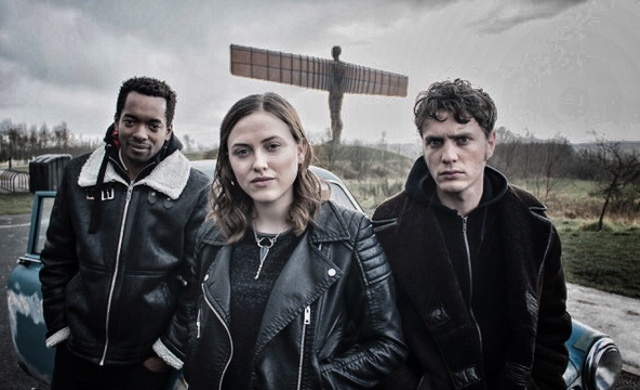 We’re always delighted to be among the first to share details of new British films with you, and today we’ve got an exclusive first look at Jeremy Wooding’s Burning Men. The director of Blood Moon is back with a uniquely British Rock’n’Roll Road movie starring Ed Hayter, Aki Omoshaybi and Elinor Crawley. The trailer sets it up as a deep dive into the dark underbelly of ancient English folklore, using a mysterious and rare record as their map. It oozes atmosphere, throws some very unsettling images at you – and the soundtrack sounds fantastic. Here’s the first look trailer, followed by a load of photos from the film and details on how to stay up to date with the film, which is due out on the 1st of March.